Have we conducted our annual fire drill? Any organization should be prepared and able to evacuate their entire facility in no more than 2.5 minutes. Without posting a reminder of the safest route out of the building, your employees are at risk in the event of a fire. Should we be training our employees to use fire extinguishers? The answer is YES. Almost all fire extinguishers found in an office space are five pounds, which only last 15-20 seconds. This means that in addition to training employees on how to properly use fire extinguishers, it’s important to train them on when it’s safer to flee and aid them in escaping the building. Also, if your organization isn’t performing a documented monthly inspection of the fire extinguishers on site, you could risk only having access to an expired one in the event of disaster. Are we following the OSHA training requirement for our forklift operators? Even the most experienced forklift driver should be observed annually and should be provided continued safety education and training. Should we be conducting noise testing at our facility? Sure, we can determine what seems like a loud noise, but what’s the threshold? A good rule of thumb is if you must speak loudly to be heard over a noise, you need mandated hearing protection at that facility or in that area. Can we respond to a chemical spill? Depending on the nature of the spill, it may be safer to contain than to clean. Your employees should be trained on the difference so they know which path to take. See question 6. Have we trained our employees on the chemicals in their work area? Every facility must have a written chemical inventory. An absolute minimum is to have a visible table of contents showing all on-site potentially hazardous chemicals. Additionally, the Safety Data Sheet for any chemicals used must be retained for 30 years. Are employees wearing Personal Protective Equipment? Hanging a safety poster on a bulletin board is not enough to encourage PPE among your workforce. On average, employees will take notice to a new poster for about four days before it fades into the background and is ignored. Instead of just a poster or occasional senior management reminders, find other ways to reinforce the importance of PPE and encourage employees to remind one another on a day-to-day, peer-to-peer basis. Do employees know when respirators are required? Testing isn’t as complicated as you might think. There’s not necessarily a need to send respirators away for testing. Tests can easily be performed for a half-mask respirator internally. Can we properly rescue an employee from a confined space? In the workplace, a confined space is considered an area with limited entrances and exits-(generally one way in and out) and not intended for continued occupancy. In the event of an emergency, is your plan to call the fire department? Or do you have the rescue equipment? Something to think about: rescue equipment can be rented for periods of time; it doesn’t have to be purchased. Have we completed our annual periodic inspections for authorized employees? What are annual periodic inspections for authorized employees? This is a documented inspection for anyone who can “lock out/tag out” any piece of equipment or machinery. The authorized employees must be able to properly and safely release all of the energy from the equipment when they’re not working. Are employees aware of their exposure to blood borne pathogens? Some organizations think a way to reduce the cost of maintenance is to pay an employee a little extra to clean the restroom facilities. Often, these employees who are doing a little extra work on the side are not properly trained on working with an exposure of blood borne pathogens. 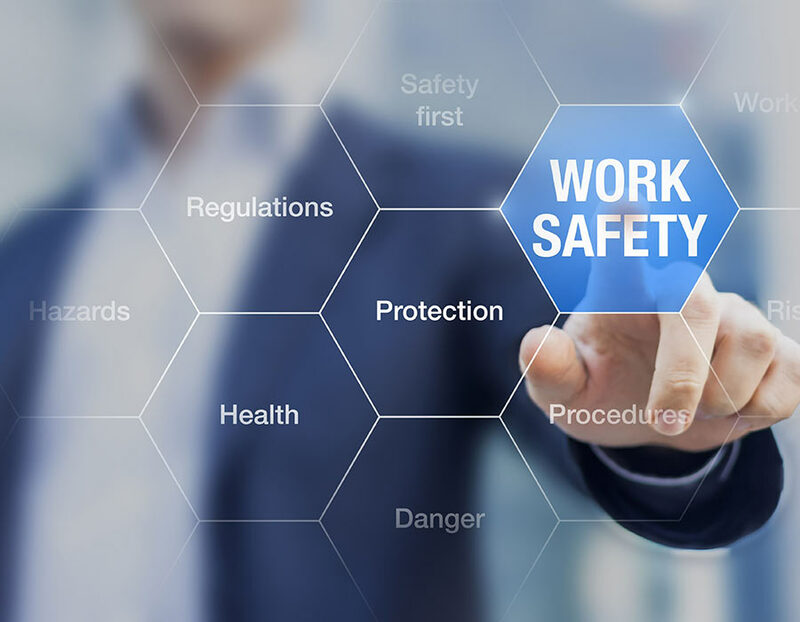 Paying employees to do this job is not worth the risk of a worker’s compensation claim should an employee end up sustaining an injury or illness because of their exposure. It’s safer to outsource to professionals who are properly trained to work in that space. Do we have an adequate number of employees trained in CPR and First Aid? A recent statistic showed that in the workplace, 47% of men who suffered a heart attack and needed CPR got it. However, only 38% of women in the same situation received the lifesaving help. Trained employees will understand the Good Samaritan Act and how it covers them. For every 24 employees, at least one employee must be trained in both CPR and First Aid.